Kimberly Clark Scott Brand Multifold Paper Towels from HealthyKin.com are designed for softness, absorbency and performance. They are recommended for use with the In-Sight Counter Top Folded Towel Dispenser, the In-Sight Series i Universal Towel Dispenser and the Windows Series i Universal Towel Dispensers. 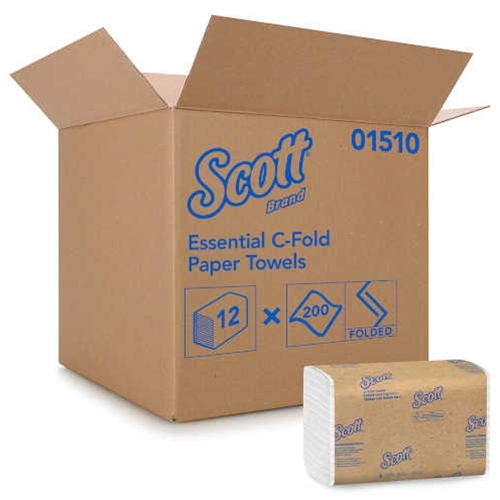 Scott Multifold Towels are made from recycled content and post-consumer material. Great price and quick delivery. Will definitely use HealthyKin again. Just as described and product arrived quickly. You pay for shipping here, but other websites advertising free shipping are simply raising the starting price. I paid less here, including shipping. Very satisfied. Excellent quality and absorbency! They are much softer than standard towels as well. Will definitely reorder. Best multi-fold towels we have ever purchased . . . at a great price! Texture is good; interlacing of towels is good; price is very competitive. Delivery was quick. Very satisfied, and placed a second order after the quality of the first order! Great price Healthykin is a fantastic company. Great Product! I Will order again! Great Product!!! I Will order again!!!! !